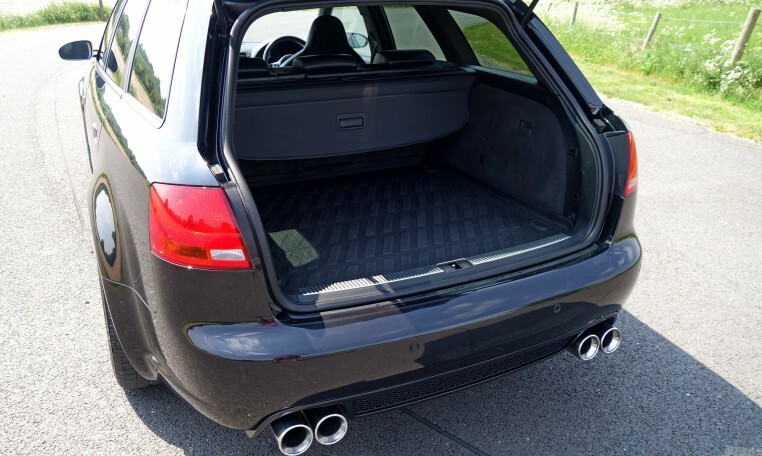 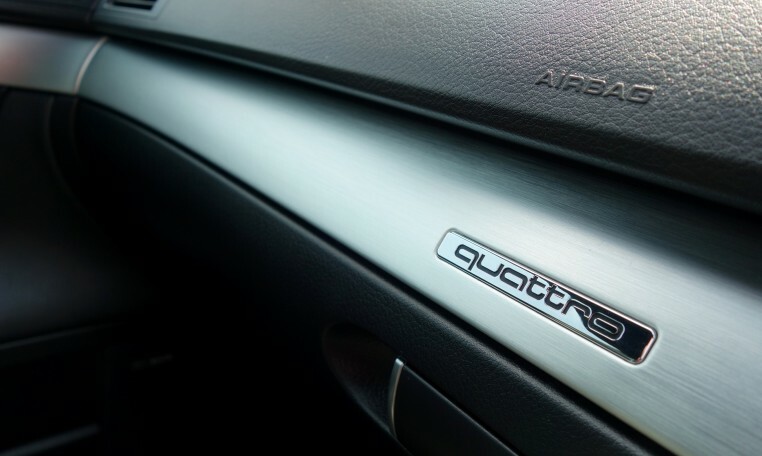 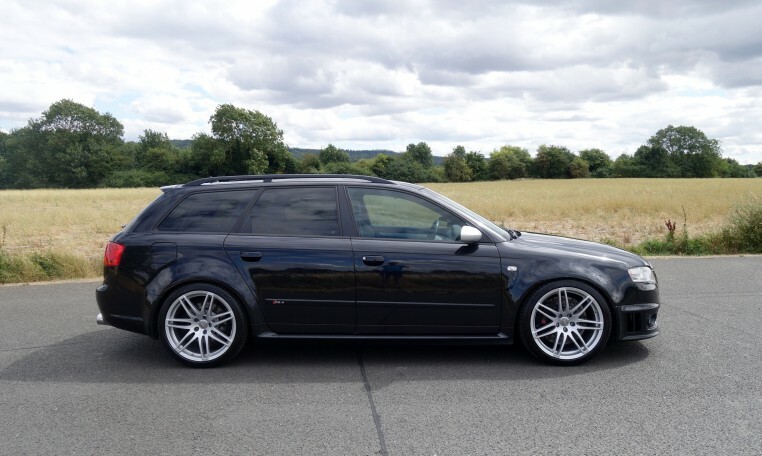 A superb 2006 Audi RS4 Avant Quattro finished in Phantom Black Pearl Effect with Valcona Black Leather Bucket Seats and Matt Aluminium Inlays. 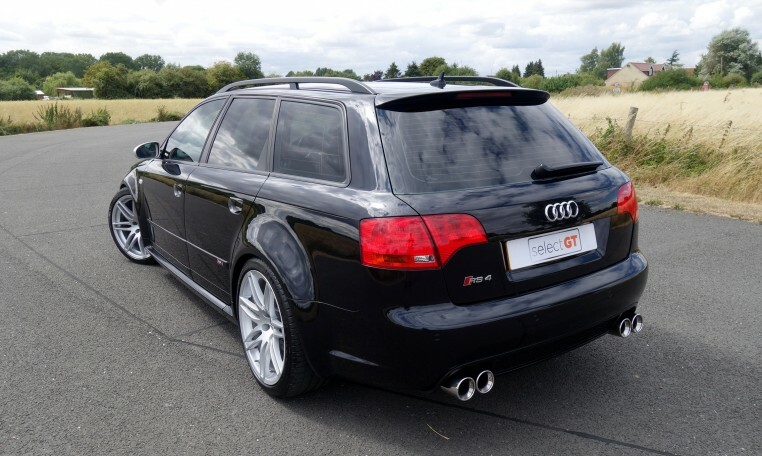 This example has had a full engine and clutch replacement by Audi at 84,000 miles which is all documented in its extensive history. 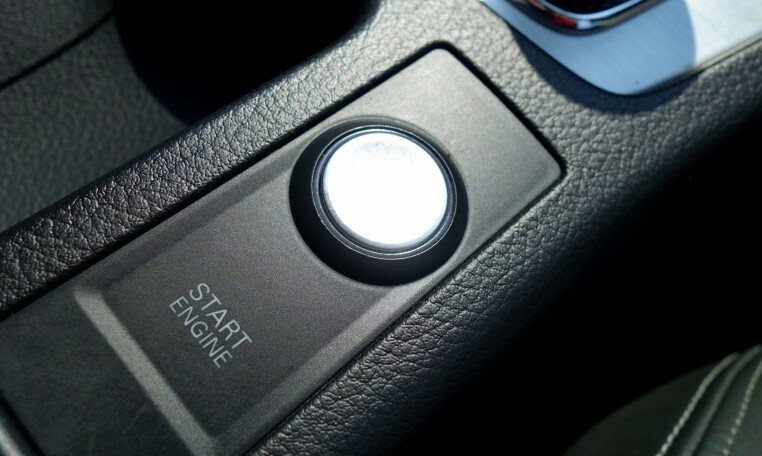 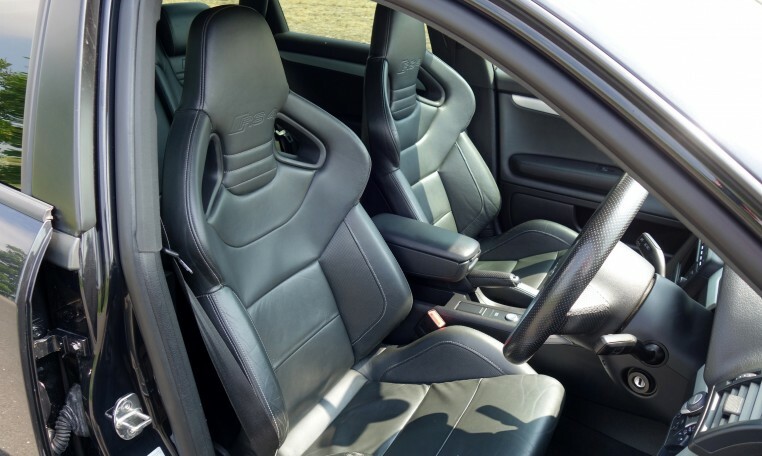 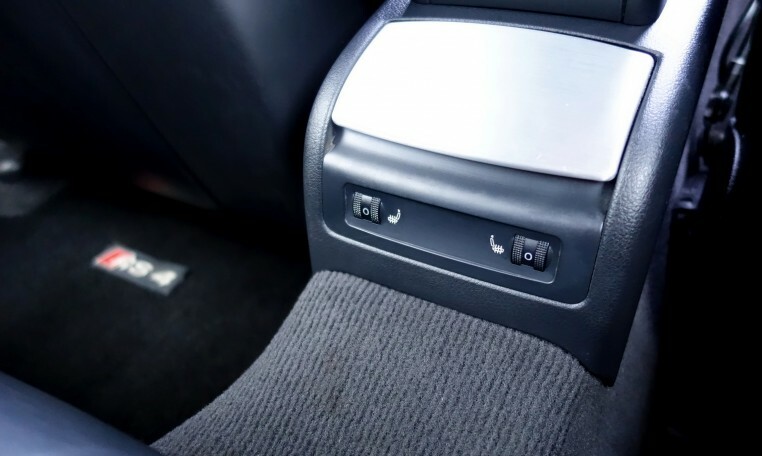 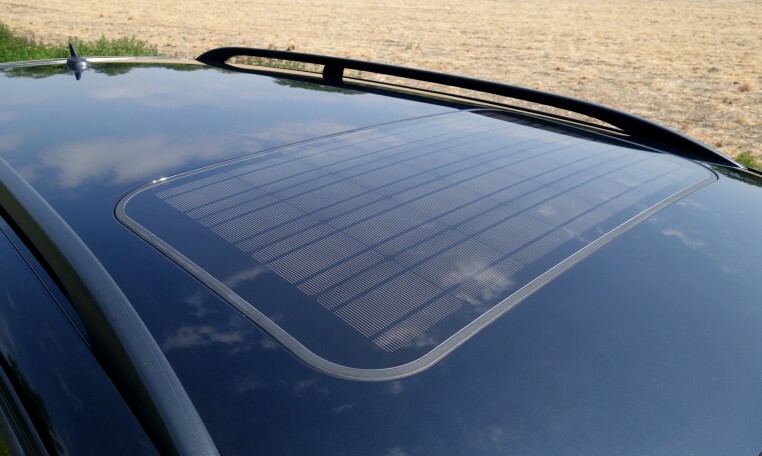 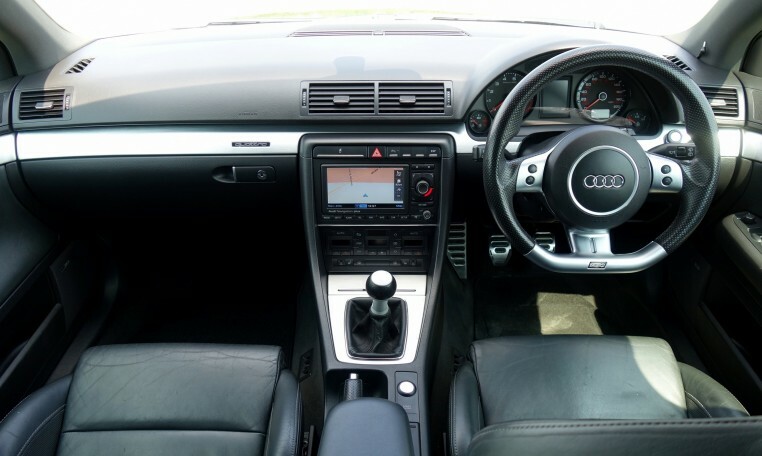 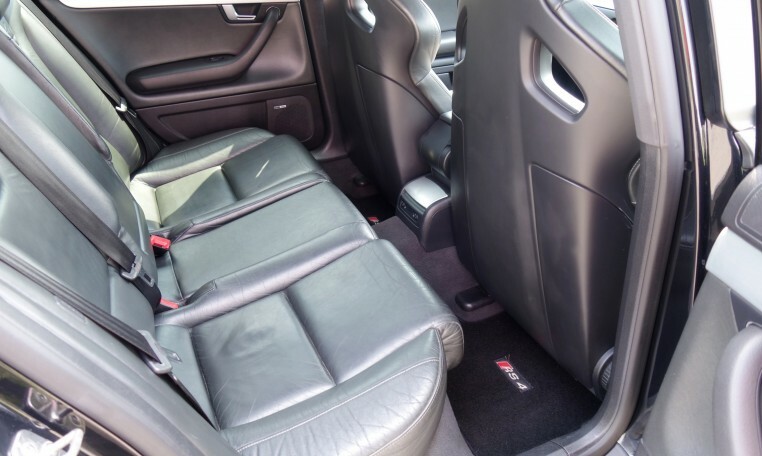 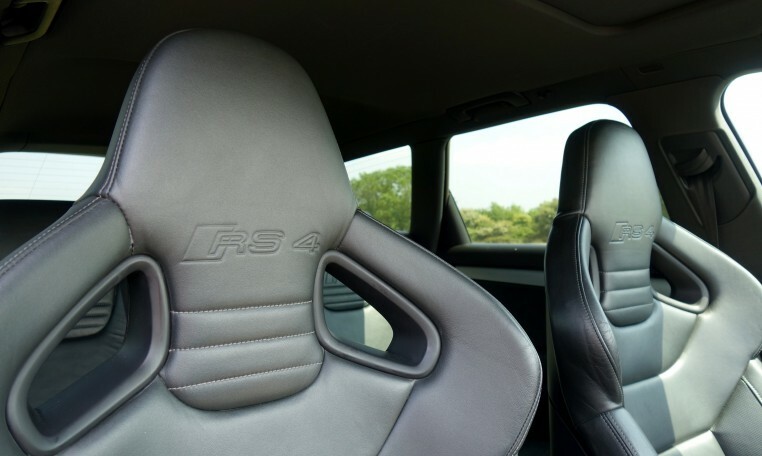 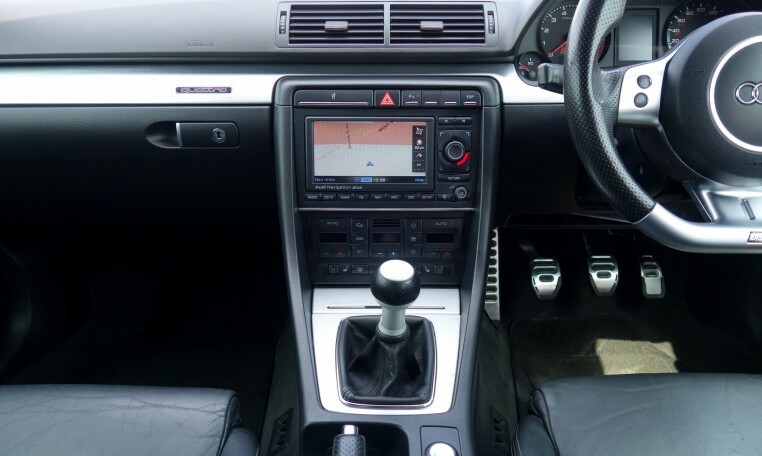 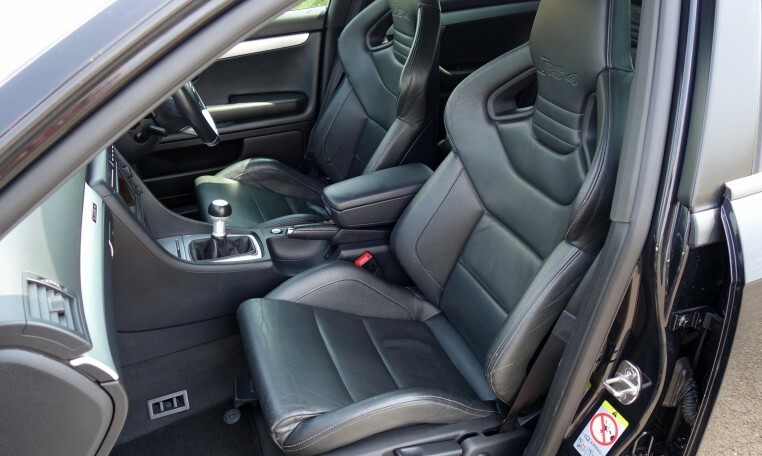 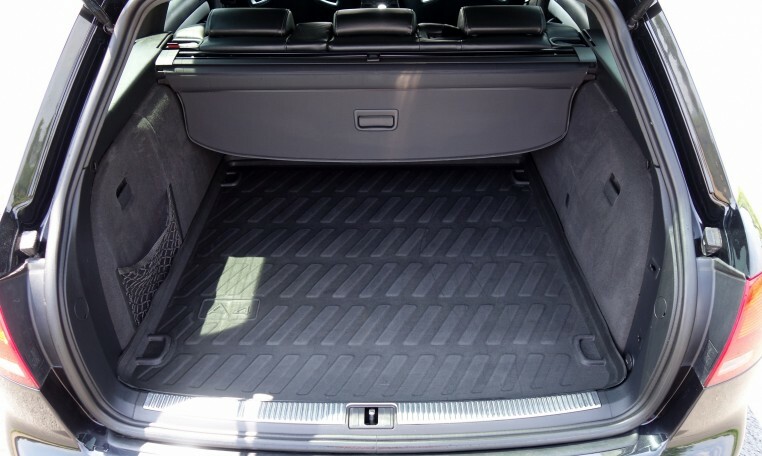 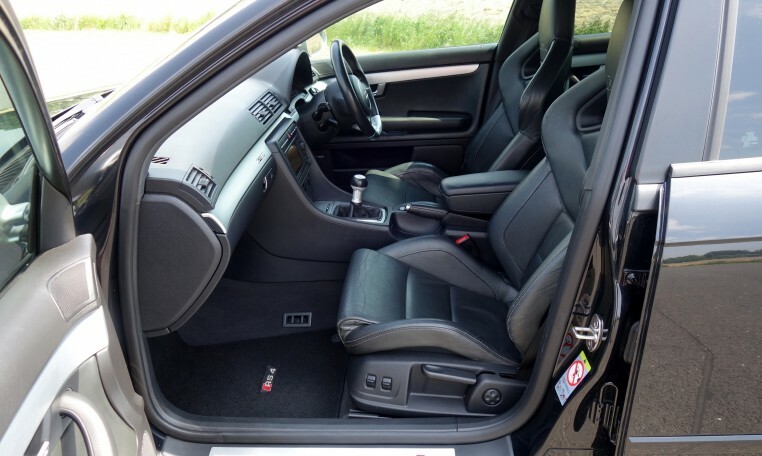 A really well equipped car with the more desirable Heated Leather Bucket Seats and Flat Bottom Steering Wheel. 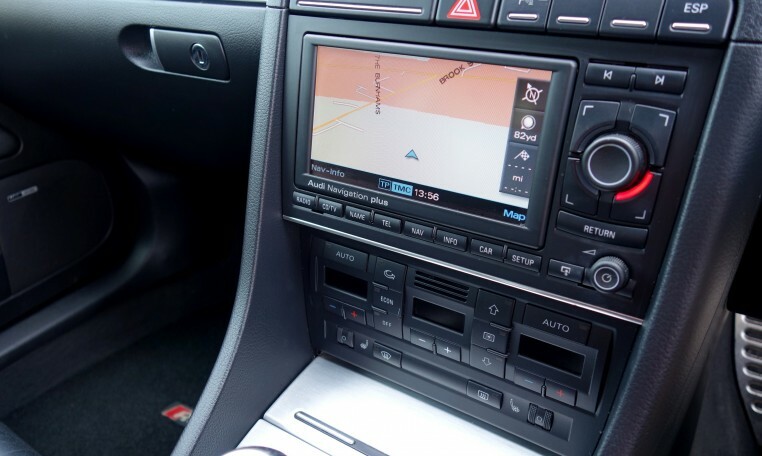 Other features include; Audi DVD Sat Nav Plus, Electric Tilt and Slide Solar Sunroof, Factory Black Optic Pack, Front and Rear Heated Seats, BOSE Sound System, Bluetooth, Front and Rear Parking Sensors, Xenon Plus Headlights with Daytime Running Lights, Factory Privacy Glass, Tracker, Refrigerated Glove Box, 19” 7 Spoke Double Arm Alloy Wheels, Sports Mode, Push Button Start, Electronic Climate Control, Cruise Control, Front Centre Armrest, Roof Rails, Drivers information System, Aluminium Pedal Set, Front Fog Lights, Audi Boot Liner, ISOFIX, Electric Windows and Electric Mirrors. 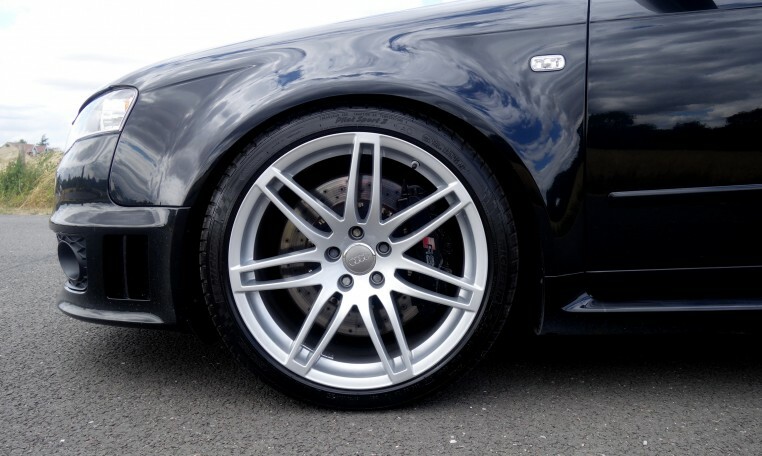 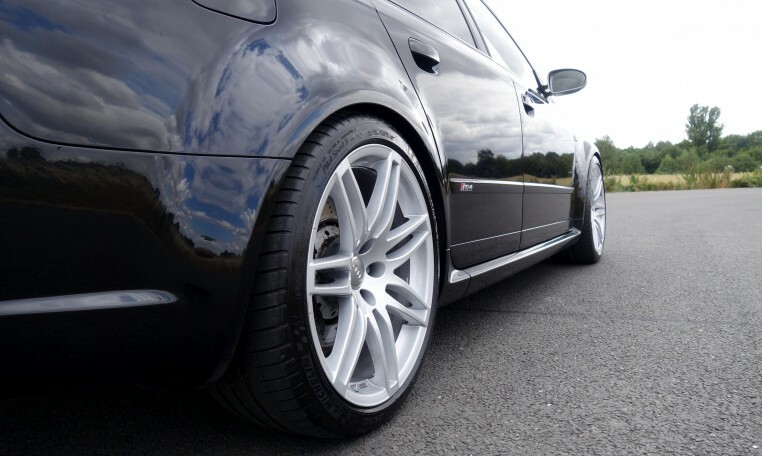 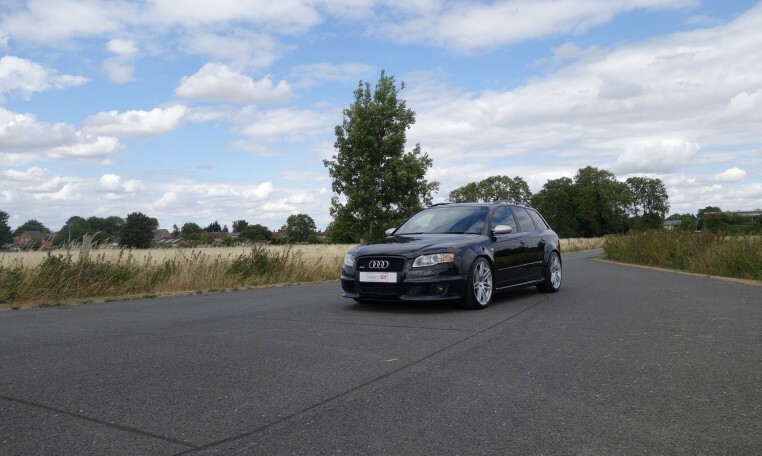 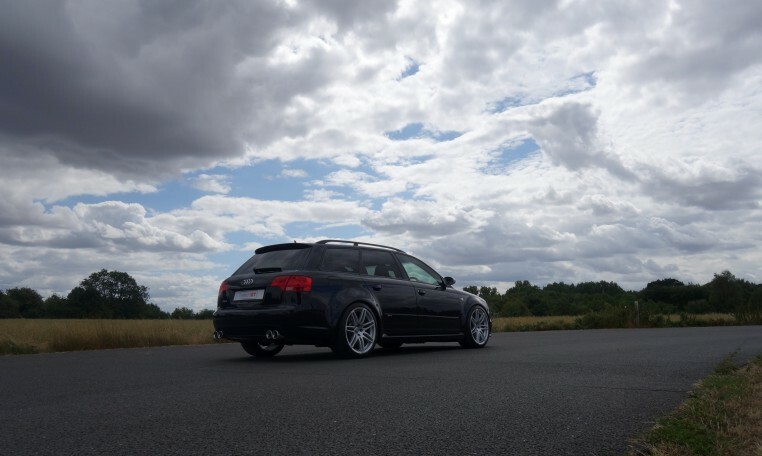 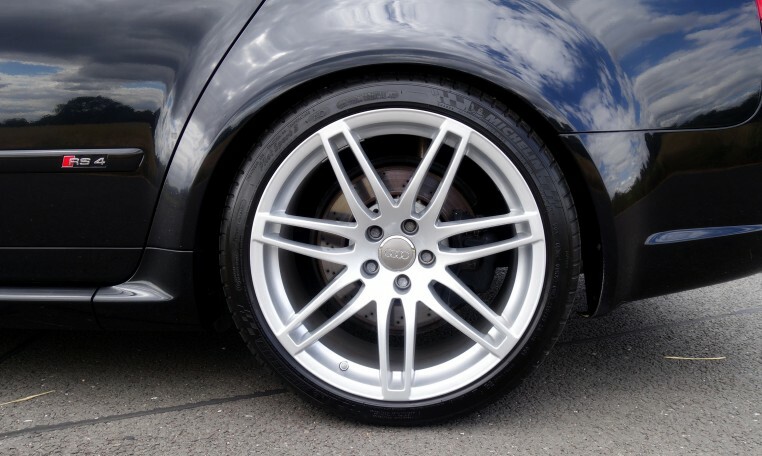 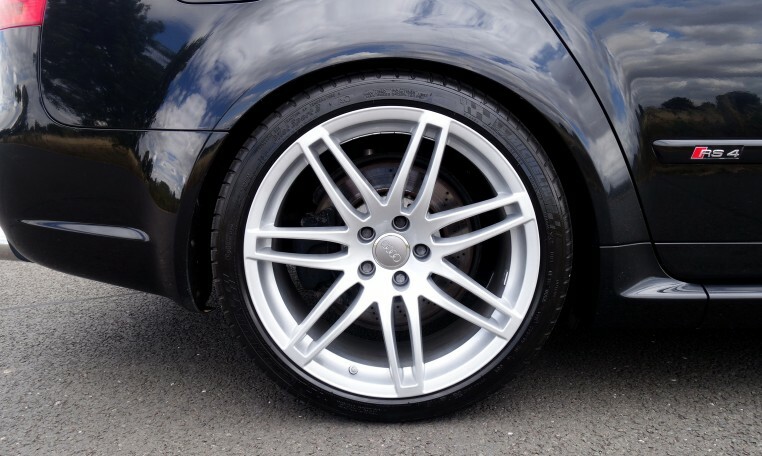 It is well documented that the Achilles Heel of the B7 RS4 is its standard DRC suspension set up, this vehicle has been upgraded with a KW Variant 3 Coilover set up. 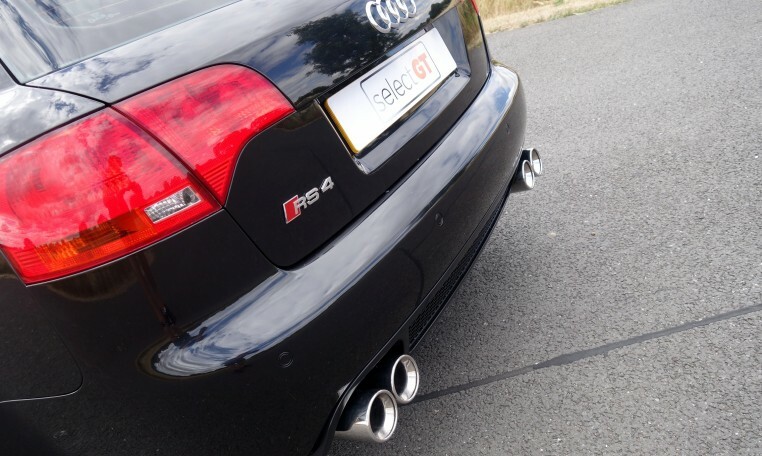 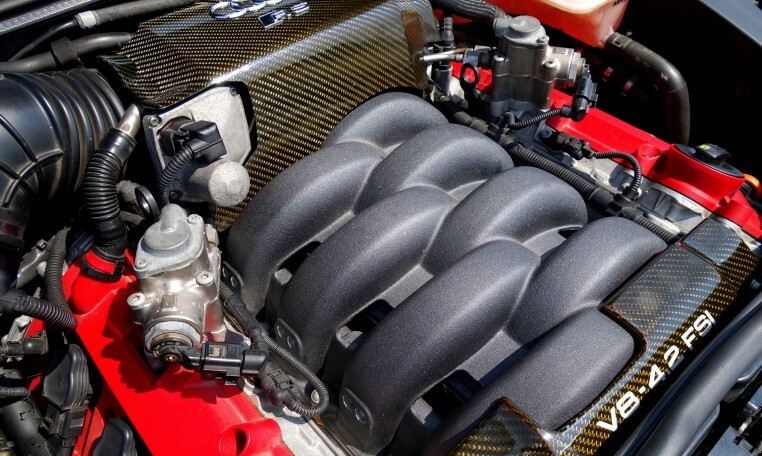 Furthermore this particular car benefits from a Supersprint exhaust system. 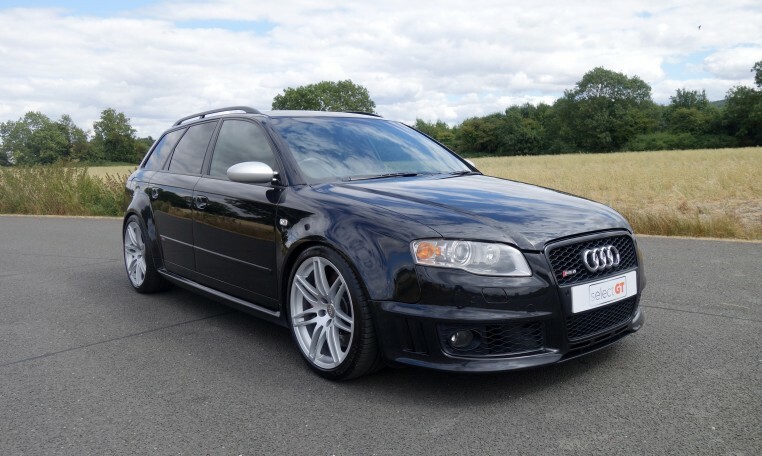 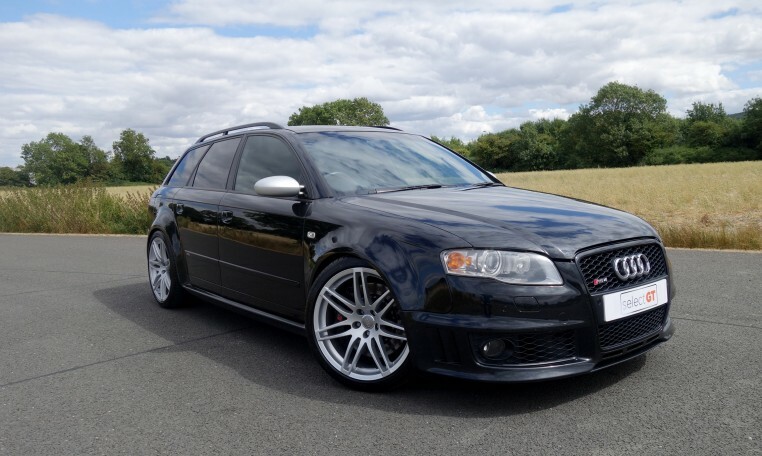 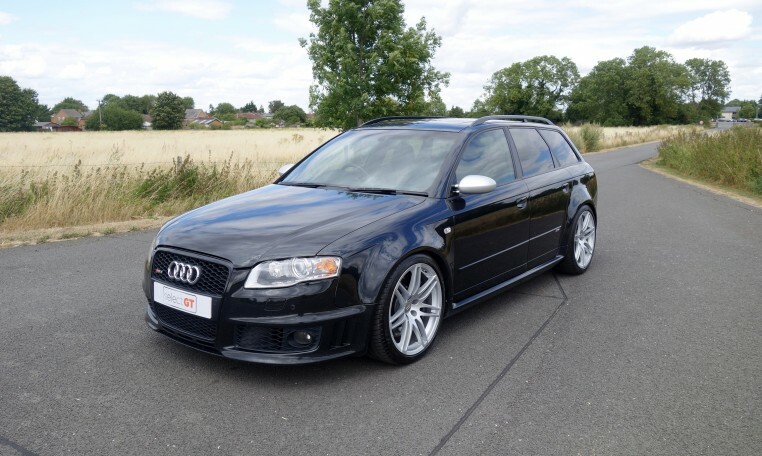 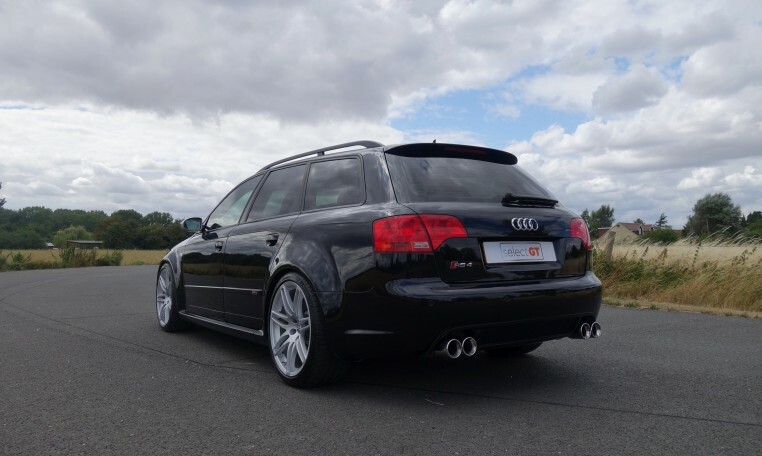 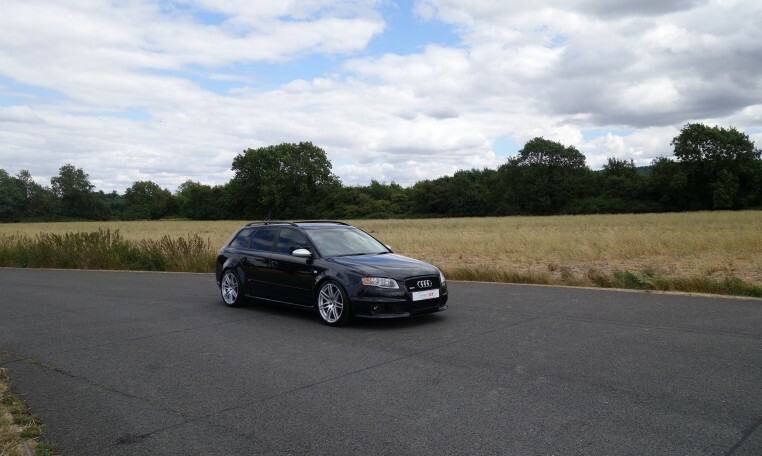 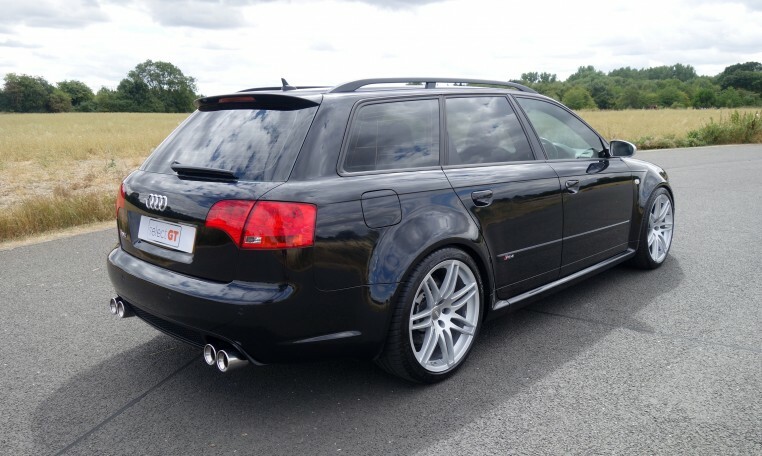 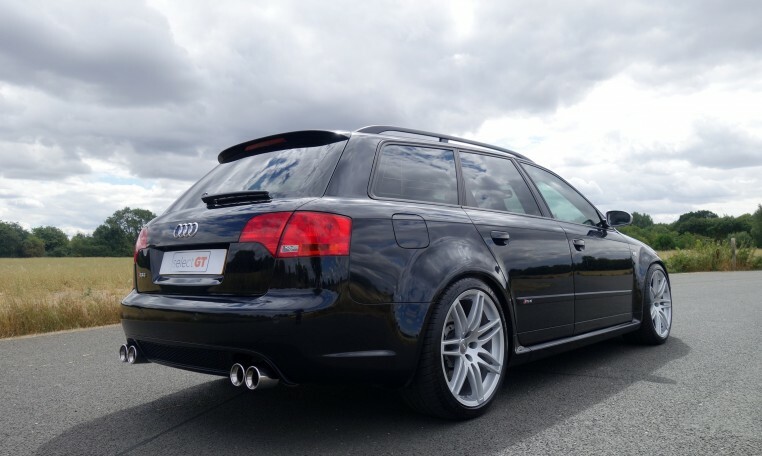 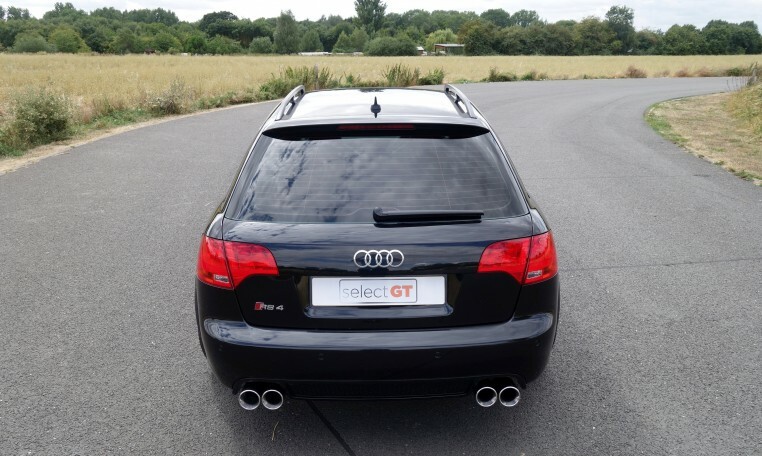 Over the course of its 107,000 miles, this RS4 Avant has being well maintained with full service history and an extensive amount of paperwork evidence provided. 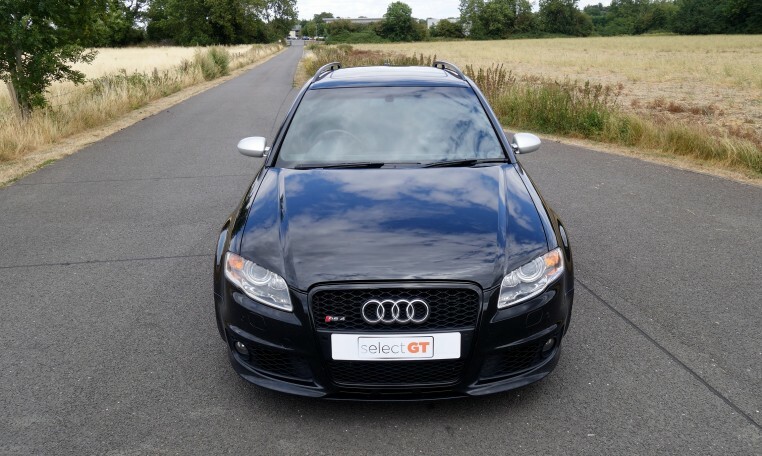 As mentioned previously, a new engine, flywheel and clutch was fitted by an Audi main dealer at 84k and oil cooler lines were replaced at 65k. 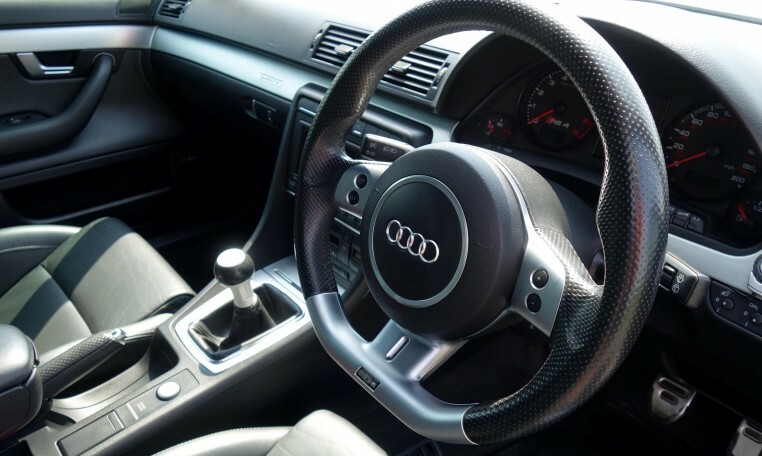 Supplied with 2 keys, the original Audi folder and manuals, a clear HPI report and a long MOT. 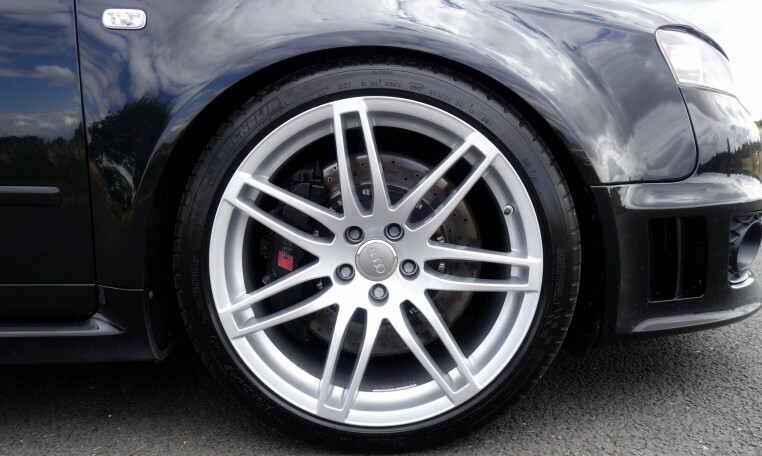 Various warranty packages available, please ask for more details.